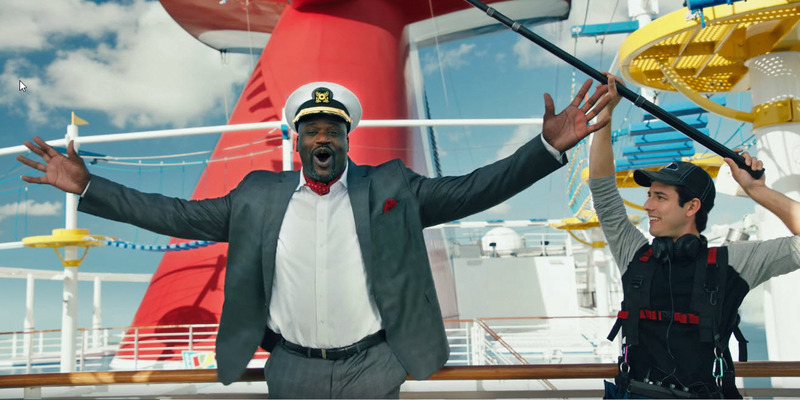 Carnival / YouTubeShaquille O’Neal made up to $US30 million a season during his storied NBA career, but he says he’s made even more since through endorsements and advertising. Shaquille O’Neal made over $US280 million during his NBA career, but in an upcoming interview for “Real Sports with Bryant Gumbel,” O’Neal reveals that he’s made more per year since leaving the league. Through endorsement deals with brands including Gold Bond, The General, and Carnival cruises, O’Neal has turned his brand into a money-making machine. O’Neal also has used his time since leaving the league to offer advice to younger players receiving a windfall from their first big NBA contracts. Shaquille O’Neal may be one of the greatest big men to play in the NBA, but for all the success he had as a player, his career has become even more profitable since his retirement thanks to his turn in advertising. In an interview with reporter Bernard Goldberg for “Real Sports with Bryant Gumbel” on HBO, Shaq revealed through endorsement appearances with brands including Gold Bond, The General, and Carnival cruises; he’s turned his post-playing career into a profitable enterprise of personal branding. You can watch a trailer for Shaq’s appearance on “Real Sports” below. Since he’s left the NBA, Shaq has not only become the face of many brands but also taken to espousing financial advice to up-and-coming NBA players. Shaq also cites guidance from Magic Johnson as helping him turn to investing and becoming smarter with his money. His full interview on HBO’s “Real Sports with Bryant Gumbel” will air on Tuesday.